Welcome to the sixth grade. This upcoming school year will contain the most exciting memories. From friends to classes, sixth grade rocks. If you are worried about lockers or locker combinations, then you have arrived at the right place. Lockers..lockers...lockers! Lockers are great! Once you memorize your combination then you are good to go! 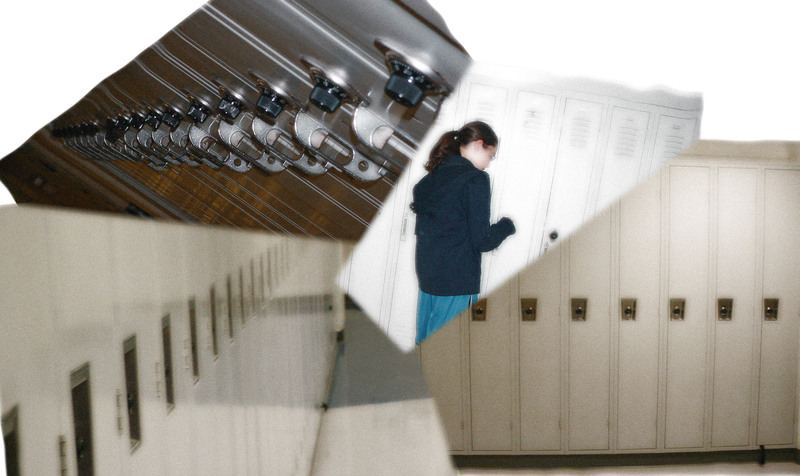 It may be hard to remember which locker belongs to you..so here are some tips! Some people slip ribbon through the slots to easily spot their locker in the crowd. Or you can just remember which classroom your locker is near. Now, when turning your combo..go right left go past and then left. YES! Your locker is open! And if you are having trouble on your first day...ask a nearby teacher to unlock your locker with a key!